Anthony enjoyed a 20 year career in the Civil Service before coming to the Bar in 2002. He has a range of experience in multi track, fast track and small claim cases involving all aspects of Road Traffic, including Credit Hire for claimant and defendant. Has undertaken advocacy work for several large local public transport companies, and regularly appears in credit hire disputes. He has an interest in and experience of the Information Appeal Tribunal. He regularly appears at the Criminal Injuries Compensation tribunal and has dealt with complex claims involving diffuse axonal injury, amongst other things. 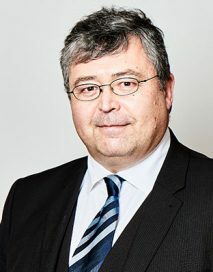 He is delighted to regularly receive instructions in landlord-tenant disputes and has particular expertise in respect of Anti-Social Behaviour Injunctions, whether for the applicant or respondent. He has experience and will advise on quantum and liability in personal injury, in particular in relation to children and approval matters. Anthony receives instructions from several Government departments, including the HMRC, and the Civil Aviation Authority. Christopher McGlade v ICO and Redcar and Cleveland Council : [ EA/2009/0019] (IAT 23rd November 2009).